To create stylish, attractive and functional operating environments that are customized to suit their client requirements and brand identity, hotels and resorts often hire interior designers, architects, and stylists. Yet, many simply opt to use stock ADA signage on their access areas just to be compliant with the sign standards in the ADAAG (Americans With Disabilities Accessibility Guidelines). But unlike the common misconception, ADA signage isn’t only about raised lettering and Braille. Rather, it’s all about complying with the ADAAG together with giving your stylish environment a fitting finishing with exterior signage that showcases a high quality design and great attention to detail, which will get it noticed by the public. 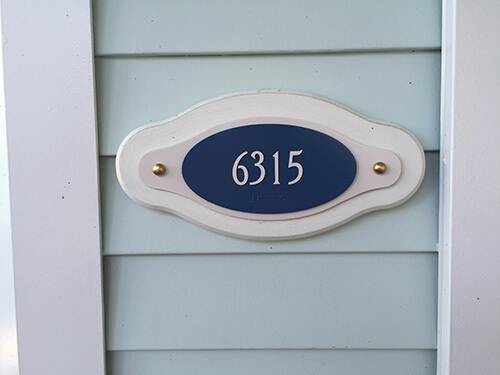 Disney World Resort’s signs tell a vivid story and when Disney’s Old Key West approached us for ADA signage, it involved a unique challenge. Disney’s Old Key West resort transports guests to a serene tropical paradise, which helps them escape the mundane everyday life to enjoy moments of complete bliss and calm. Nothing is more important to Disney than taking guest away to a place away from their everyday life. 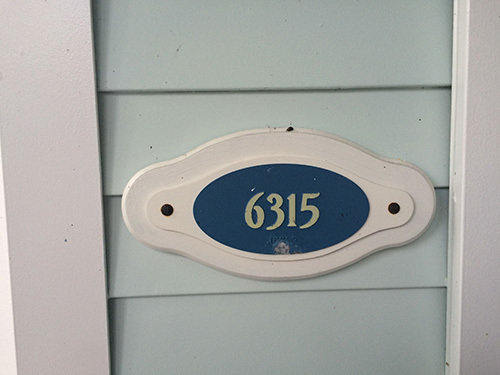 Disney’s signs tell a vivid story and it’s no different for Old Key West. This time round, their exterior signage project had a unique challenge though. 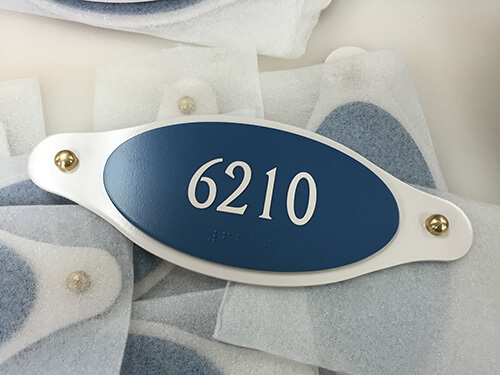 They asked Citrus Sign Studio to recreate existing ADA signage for rooms, which would be replicas of their old ADA room numbers that have worn out. In the absence of any engineering files or shop drawing that can be referred to, it was a challenging task. But at Citrus Sign Studio, we love to accept and excel in handling such challenges and were happy to get this chance of recreating signs that tell a vivid story for Disney. Drawing upon our methodical project approach, our designers studied the images of Old Key West resort’s past exterior signage carefully and in as much detail as was possible from the images supplied to us. 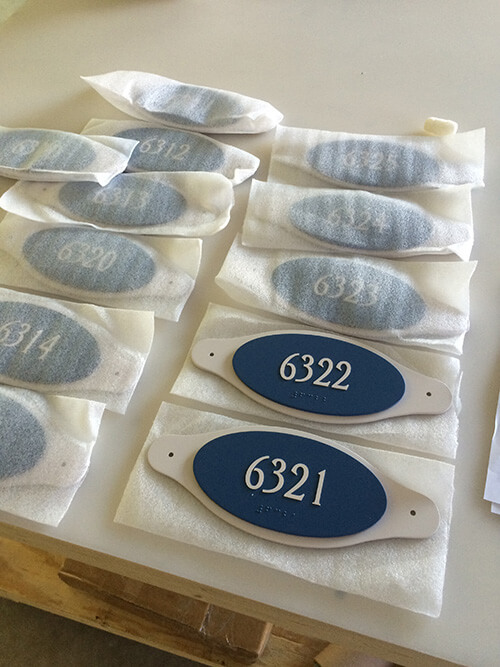 Next, they created drawings to replicate these old worn out signs – complete with how the room numbers were etched to the Braille dots below them, which would act as the starting point of creating new ADA signage for rooms. 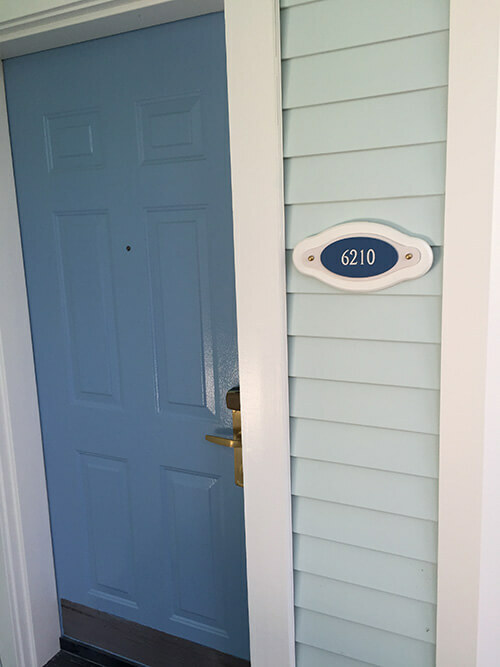 It was followed by choosing high-end materials and finishes to recreate the room numbers that were ADA complaint, durable, matched Disney’s architectural style and were just like the old room numbers when they were new – as our client wanted. So, Citrus Sign Studio not only took this challenging ADA signage project but successfully completed it to meet Disney’s high standards. We knew we had the competence, resources and skills to recreate the signs from almost zero detail and we did just that to meet our client’s specifications. 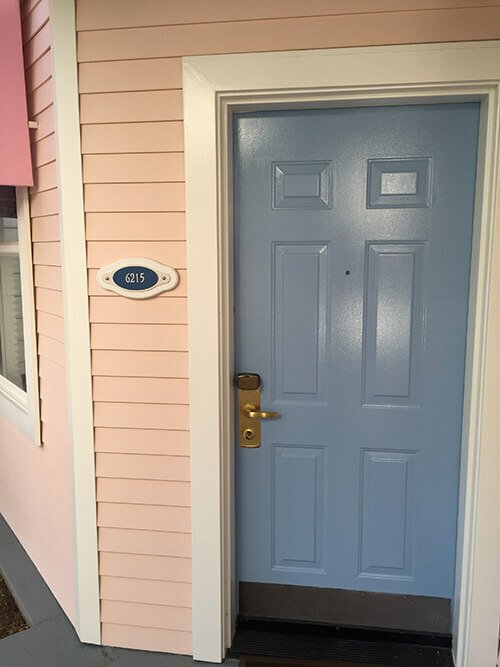 No challenge is too big for us and when we commit to get it done, we do it like pros on time just like we did in this case for Disney’s Old Key West resort ADA signage project.